The general vibe of the mood board stayed the same through completion, but just about every piece changed from this initial conception. To accommodate various challenges that became apparent throughout the renovation process, we had to switch things up every now and then. Also, I decided that wallpaper probably isn't the best idea when shower steam will be about. Also, I just change my mind a lot? 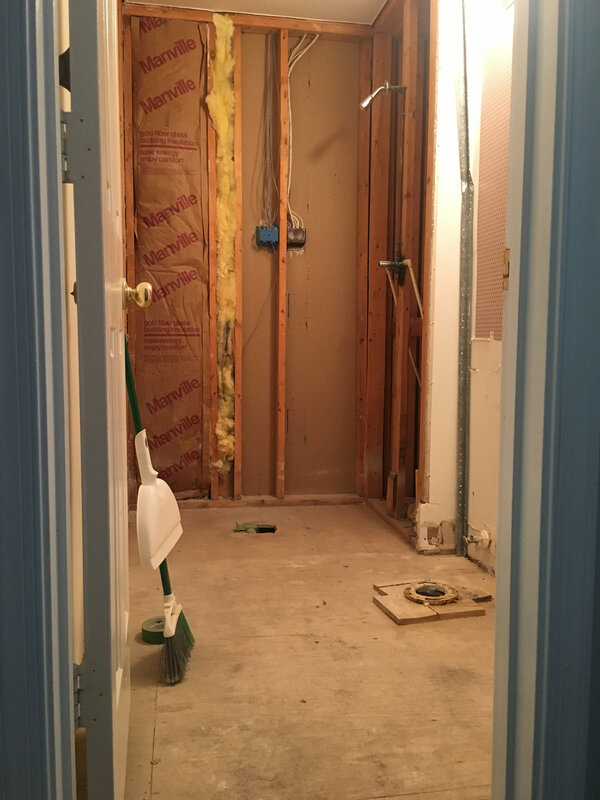 I decided to demo the bathroom myself to save some money, which, surprisingly, turned out pretty well! 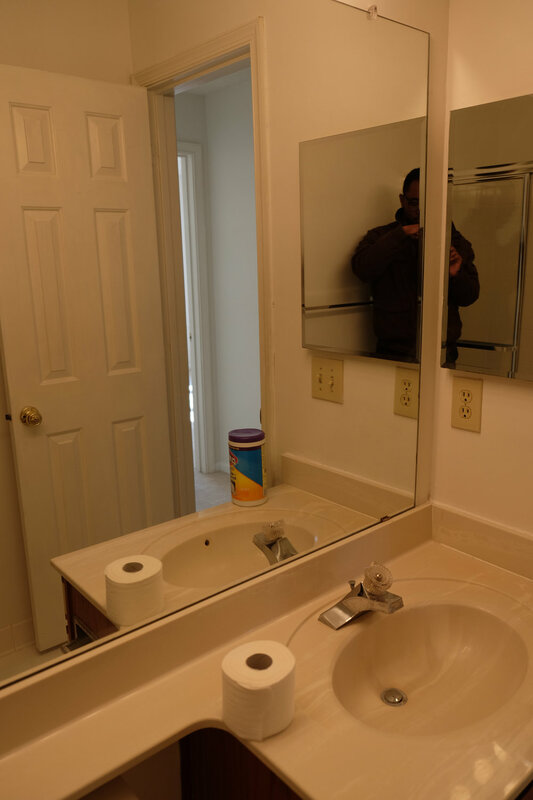 It took quite a bit of elbow grease to get everything out, but I learned a lot in the process about how various bathroom elements are constructed and placed. There was a slight snafu with the sink pipes in the vanity (maybe I'll share that story later), but aside from that, I had no huge problems. 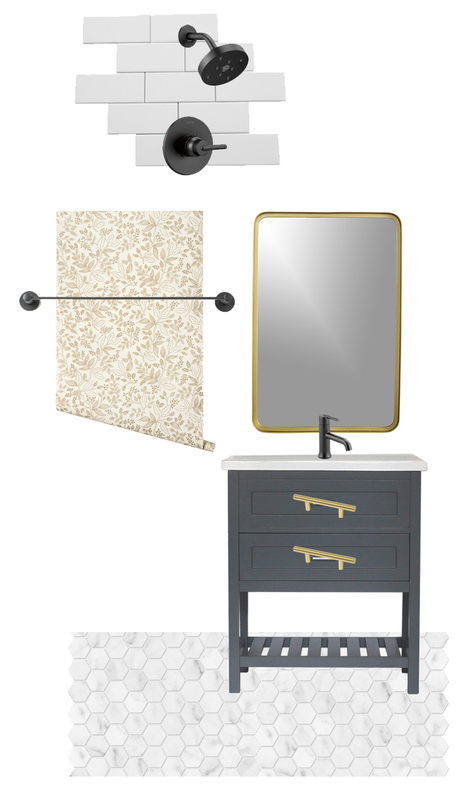 Instead of hauling everything away myself, I called 1-800-GOT-JUNK to grab the demolished tile, vanity, and countertop. Good decision. I thought that I would renovate the entire bathroom myself (tile installation, some plumbing), but I'm afraid I was a little too bold. I ended up hiring professional tile installers and plumbers to do most of the work. 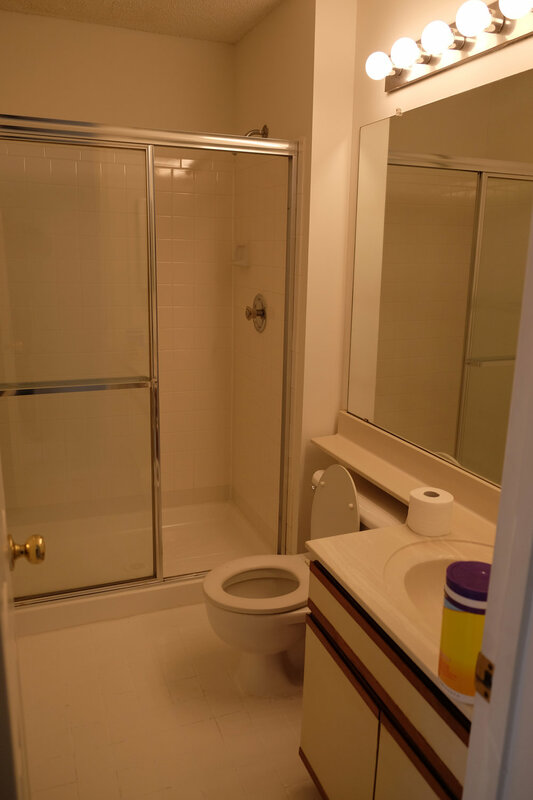 After months and months of slow-moving progress, the bathroom was complete! One of the more dramatic elements of the bathroom is the shower tile that goes up to the ceiling. I love adding this detail to spaces because it makes the height of the room feel taller that it actually is. The hexagonal floor tile also adds a bit of drama that I'm seriously into, but I might refrain from this much marble for future projects (the vanity top is also marble). I've learned in this short period of time that it doesn't wear very well, and I'm already seeing mysterious scratches and dents. I LOVE the contrast that brass elements provide against the mostly neutral palette of the space. The towel rod, towel ring, and toilet paper holder are from CB2. 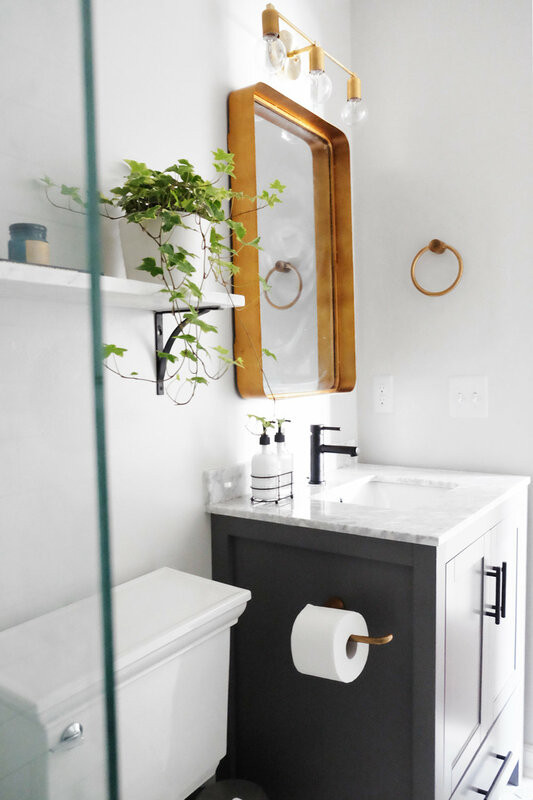 The mirror is from Wayfair, and the light fixture is from Illuminate Vintage.